Why attend? To learn more about the outstanding local education and training opportunities in the area of biopharmaceuticals. Who should attend? Students of all ages and educational levels, including community college students, university students, and professionals looking for educational opportunities to enhance your career. 2:00-2:20 - Panel discussion: "Faces of Success" Former students from local educational programs will discuss how these programs helped to prepare them for a career in the biopharmaceutical industry. 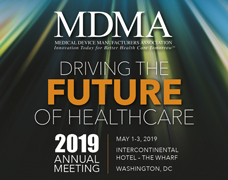 2:40-3:00 - Panel discussion: "Path to Success" Hiring managers will share their views on skills needed for a successful career in the biopharmaceutical industry. This is a free event, registration is required to reserve your seat.